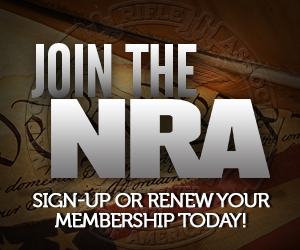 Have you planned out your days for the NRA annual meeting yet? I’m just sitting down to do it now, and it’s worth reminding people about one of the best hidden gems of the massive convention. 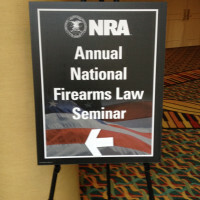 The NRA Foundation’s law seminar is an experience that shouldn’t be missed if you have any interest in gun laws at all. Even if you’re not an attorney, you’ll get something out of it – besides a good time with good and interesting company. This year’s line-up is, as always, an interesting cross section of areas of gun law that will likely give me something new to chew on. You don’t have to be an attorney to get something out of the seminar. Massad Ayoob will present on avoiding unjust verdicts in self-defense shootings. If you’re a member of a gun club at all, there will be a topic on 501(c) issues related to your activities. Looking at legal issues impacting the industry, one topic will be on defending manufacturers and retailers when they are sued for caused by the criminal misuse of firearms by others. You’ve got broader Second Amendment updates from Stephen Halbrook and Nelson Lund to look forward to as well. Last year’s topic by Chris Zealand (a Senior Research Attorney at NRA) on the Social Security gun grab was incredibly useful for me as a political activist. The details he gave for the process and what types of issues Social Security lists as mental disability codes were eye-opening and gave great fodder for me to make an informed argument to those who were just reading newspaper headlines about the topic. If, like me (and Sebastian), you’re not an attorney, but want to be informed and serious activists, you should consider attending the legal seminar. If you are an attorney, then there’s no question you should absolutely attend. If you’re a law student, there’s a discount. You get breakfast, lunch, and a cocktail reception along with your day of legal education. Not to mention, it’s usually very interesting to talk with others at lunch and during breaks about the issues they are facing at home or the type of work they are seeing come up. Though neither one of us has ever visited Atlanta, Sebastian’s family has been there before years ago. I’ve made Sebastian promise not to behave like the last time they visited the lovely city. However, if any readers have any suggestions for places we must eat or visit while we’re there, please do share. Local eats are a huge factor in having a solid convention experience. I’ll look forward to seeing you (plural) there. As to Sebastian’s ancestors visiting Georgia, that might be best left unsaid while in Atlanta. On our trip down, I’m hoping to hit some of the battle sites where his ancestors would have fought and the burial location of one of mine from the other side of the war. I doubt I’ll have time to find the burial location of my Georgia-born and raised Union veteran since his family plot is out in the woods now. I’ll meet you at the corner of Peachtree and Peachtree. I currently live outside of Atlanta but Fellini’s pizza is a must if you’re a pizza connoisseur.